Properties in Montevecchio Mine average 4.5 out of 5 stars. Nico made us feel even better then at home and was very kind also with the kids. We enjoyed our stay next door to our friends a lot (ask owner for next door house). Breathtaking view and very well equipped. Great surrounding for everyone loving outdoor activities like biking, climbing and water sports. 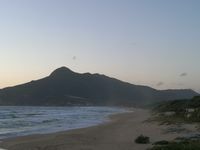 Small beach in walking distance (20-30 min) many beautiful beaches can be reached with a short car ride. Good restaurants and gelateria in nebida. We very enjoyed stay with our 2 families,grilling the fish in the garden. The location is very nice near beatiful beaches in Sardena.